call 01332 565376 or 01773 749003 for your free quotation. We are Derbyshire's leading carpet and upholstery and rug cleaning company with over 25 years of professional hands on cleaning experience and expertise behind us. We are an established Non franchise independent local family business. We really do care about our clients individual needs and we aim to provide our clients with the very best professional carpet and upholstery cleaning service around. We give great value for money and clear honest pricing without compromising the high quality service you would expect from a quality company like ours. All our cleaning is safe for kids and pets and gives a thorough deep down super fresh clean. if your not sure which methods for you we will be glad to advise which will be more suitable for your carpets and upholstery! Super fast drying low moisture cleaning systems that leave carpets ready to use in approx 30 min, suitable for carpets with light to medium soiling levels, using our natural eco-friendly cleaning solutions that leave no chemical residues for longer lasting cleans. We have always believed that excellent customer service and high quality is the top priority, which is why our business has grown from customer repeats and recommendation. We are approved members of Derbyshire trading standards trusted trader scheme, we are members of The Approved Carpet Cleaners Association and fully insured for all risks for your peace of mind. when you employ our services you can be assured that our technicians are fully trained and experienced to deal with every carpet or fabric type there is. our cleaning solutions not only clean better and remove more staining than traditional chemical cleaning they are safer for you your family and your home. We are so confident that our clients will be happy with the quality of our workmanship we have a satisfaction guarantee on all our cleaning services. 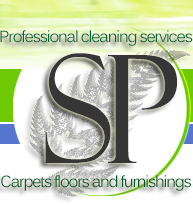 Give us a call and find out why we are the areas favourite carpet and upholstery cleaning experts. Carpet upholstery and floor cleaning in Derby, Duffield, Ripley, Alvaston, Allestree, Alfreton, Belper, Chesterfield, Clay Cross, Dronfield, Bolsover, Ashbourne, Chesterfield, Chellaston, Mickleover, Sinfin, Sandiacre, Amber valley, Erewash, South Derbyshire, South Normanton, Denby, Ilkeston, Little Eaton, Matlock, littleover, Hilton, Repton, Tibshelf, Tansley. Smalley, Dronfield, Clay Cross, Crich, Little Eaton, Heanor, Wirksworth, Chellaston, Quarndon, Long Eaton, Repton, Buxton,Mansfield, Clowne, Barlborough, Sheffield, Dronfield and all Derbyshire, we also clean carpets upholstery and floors in surrounding areas. We also provide Amtico cleaning services in Derbyshire and Nottingham.The carpet, upholstery cleaning services we privide for Nottingham are available in Aslockton, Alverton, Arnold, Attenborough, cleaning carpets in Mansfield Chesterfield Sheffield and surrounding areas. A resource for Alternative health and holistic lifestyle, natural ecology and spiritual awareness. Carpet cleaning equipment, machines, cleaners, training & chemical solutions.